Statement staples are kinda my thing. I’m all about basics and neutrals, but it’s the ones with extra special details that stay in rotation in my wardrobe. This ruffled cami definitely fits that category! I have a variety of tanks and camis for wearing with blazers, trenches and cardigans, but lately this style has been the one I reach for most. The ruffle trim adds a sweet, feminine touch to an everyday layering piece, don’t you think? I can’t get enough of it! This color isn’t yet available for purchase, but you can get in navy and a fun orange-red hue here! 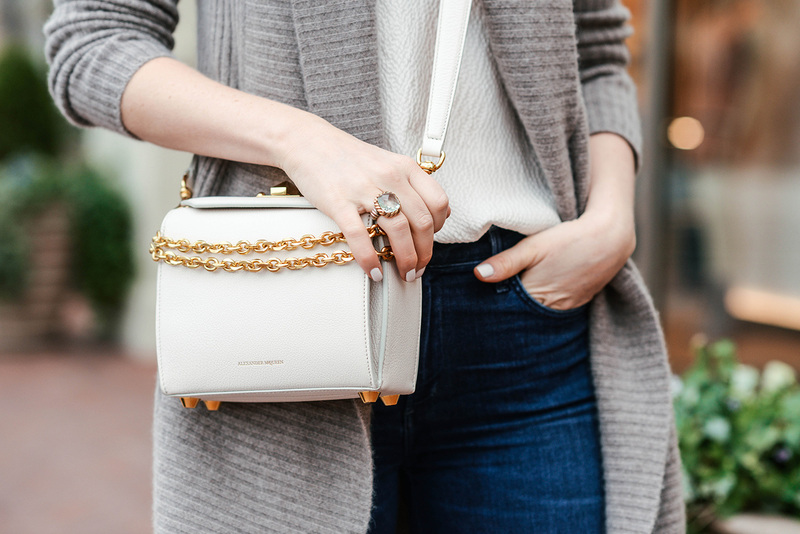 Another statement staple in this look is this bag I bought last month. The structure is simple and sophisticated, and the color is versatile… but it’s that eye-catching gold chain that makes it extra special. This bag is surprisingly spacious too – I actually shared a look at the inside in my latest Tried and True video over on YouTube! I also love how you can wear it as a crossbody, a shoulder bag, or a clutch if you remove the long leather strap. Obsessed!! 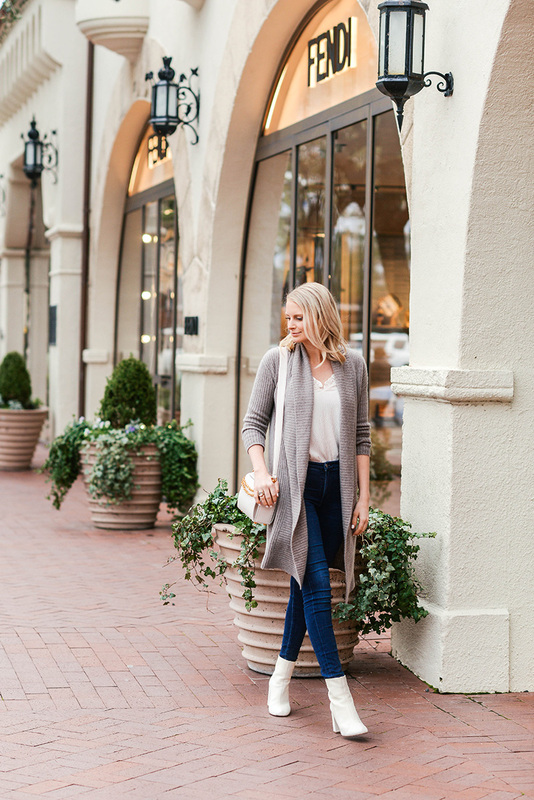 What are some of your favorite statement staples this season? Tell me in the comments below! that bag is stunning, love the white booties too. I love the versatility of that bag! It is so gorgeous too and your ruffled cami i so cute!